With rhetoric ratcheting up and the mud-slinging of another election year droning on, a third party option seems like a viable alternative. Enter the Ancient One himself: Cthulhu. No other candidate is more qualified, according to the Cthulhu for America website, as no other candidate is a god. According to recent poll by Miskatonic State University College of Mathematics, the green-tentacled Presidential hopeful is holding his own against the other top Democratic and Republican candidates. The Cthulhu for America website also claims that no issue is too small and encourages voters to tweet their concerns and issues to @cthulu4america. 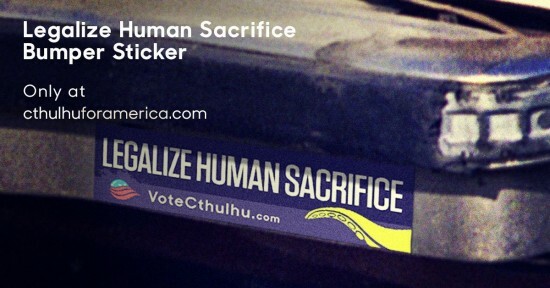 For more details on this Presidential alternative option and to be a part of the madness, visit the Cthulhu for America website and Facebook pages. Why do you feel the Ancient One the best choice for Orlando? 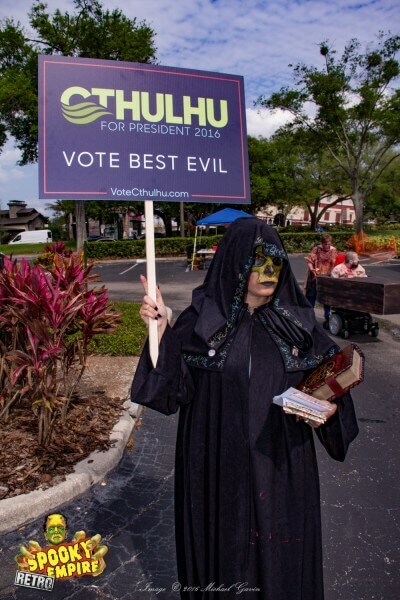 The Elder God Cthulhu should be an obvious choice for anyone living in Orlando. He will devour us all and in doing so will rid the city of so many problems. Taxes wouldn’t just be lowered, they’d be eliminated. Traffic on I-4 would be a thing of the past! What other candidate can deliver that? 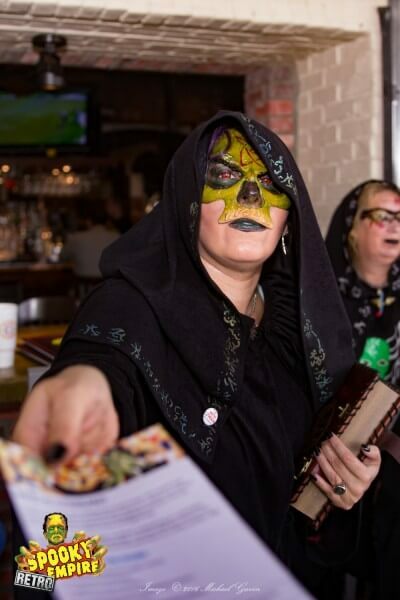 What prompted the organization to campaign at the Spooky Empire zombie walk? Normally we would stay away from an event with mindless zombies, as most of them poll as die-hard Trump supporters. However, Sppoky Empire’s Zombie Walk is an event that attracts a wide variety of visitors. We saw it as an opportunity to reach out to those people and teach them the facts about the great Cthulhu’s campaign. What’s next for the local group? 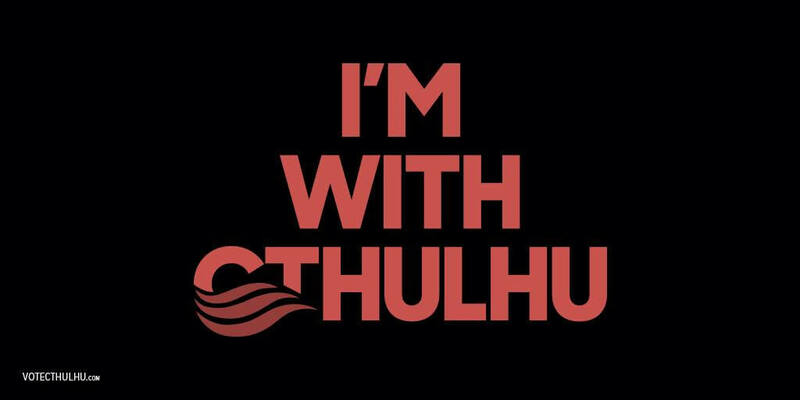 Of course we’ll be watching the campaigns of all candidates closely in the upcoming months to see if any opportunities arise to spread the word about Cthulhu’s impending and inevitable reign. And come October, as the election is in the home stretch, we will be back at Spooky Empire’s October convention to rally the faithful and encourage people to get out and vote. Participating in Spooky Empire’s Zombie Walk was a great success! It is a logical combination of like minds. Zombies eat people. Cthulhu eats people. Also, since we will undoubtedly be eaten first, shambling with zombies gave us a chance to see some people be eaten. Think of it as hors d’oeuvres before the Great Banquet. It gave us a chance to mingle, pass out cookies, and meet others who may be eaten first. Although much of our machinations remain necessarily behind the scenes, we can confidently announce we will have a significant presence in October at Spooky Empire’s Ultimate Horror Weekend. In the event that Lord Cthulhu chooses to rise during the event, we ask that everyone be respectful and wear makeup that is non-toxic and gluten free. 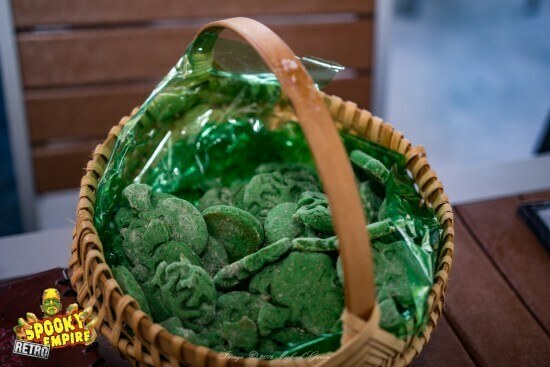 A truly evil gimmick – yummy cookies with NO milk! 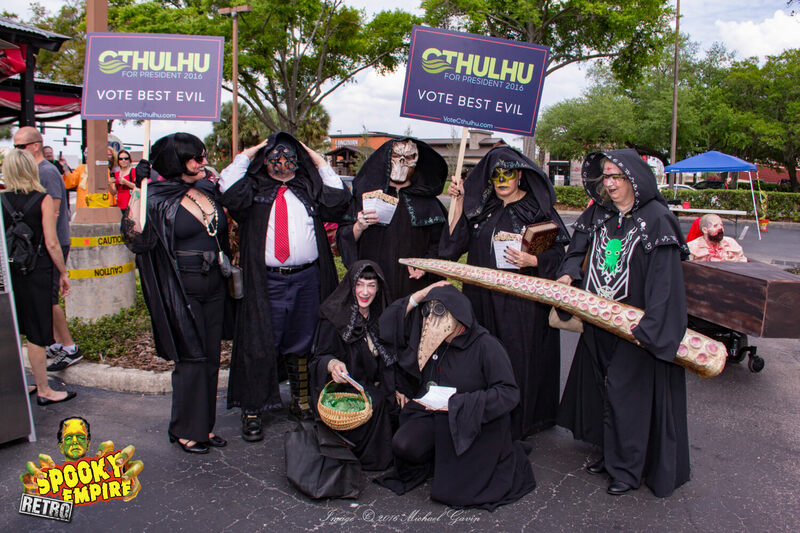 The Orlando Cthulhu for America supporters were spotted at the recent Spooky Empire RETRO Convention (both at the Zombie Walk and at the show) – Stay tuned to OTM for more Spooky Empire RETRO Coverage . . . Older Older post: New “Captain America: Civil War” featurette puts the ladies in the spotlight!